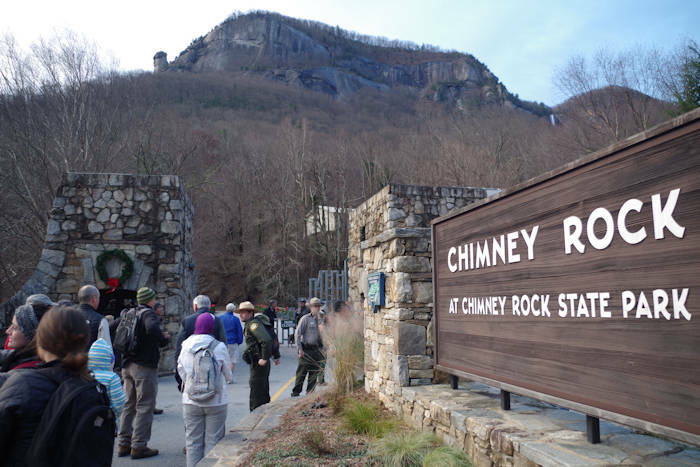 Chimney Rock Park: A rare treat to hike up the 3-mile park road from the village to the top parking area. Take a shuttle back down after (or walk back). 8 AM. Park in village and meet rangers at park stone entrance. Hikers can also return to the park free all day. 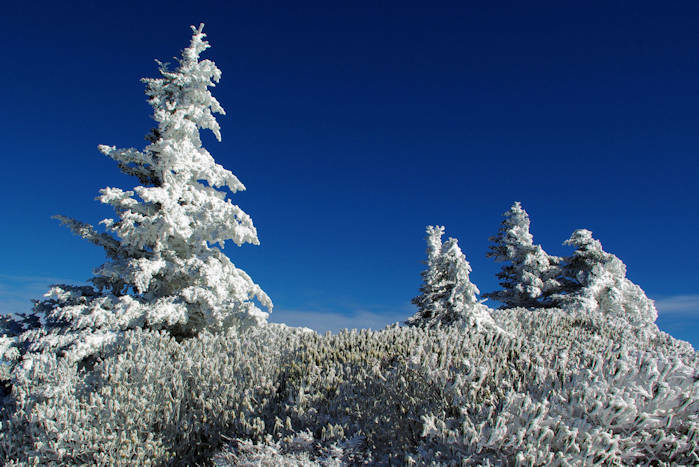 Mt Mitchell State Park: Meet a ranger in the Upper Summit Parking Lot (weather permitting) at 1 PM for a 3/4 of a mile hike on the Balsam Nature Trail by the highest spring in eastern America. 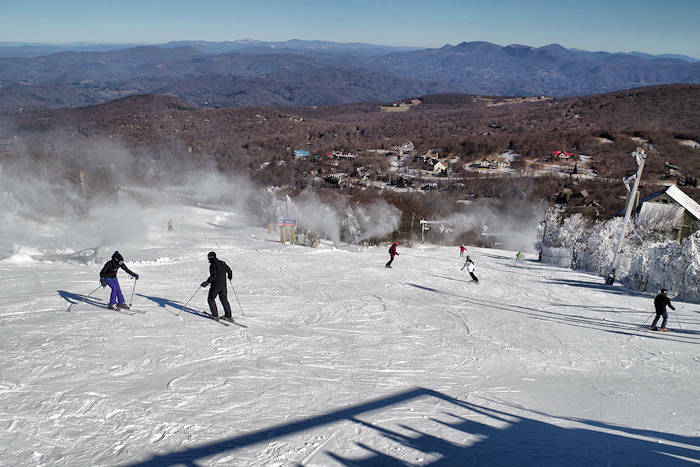 Wear appropriate clothing and carry proper gear as the high altitude makes the climate of Mount Mitchell cold during winter. Be prepared for ice and snow on trails. Gorges State Park: Join Park Rangers Alyssa Coburn and Neal Wilcox for a casual hike from the park visitor center to the Bearwallow Overlook and then down to the Upper Bearwallow Falls observation deck. This moderate, 2-mile hike is great for the whole family. Start at 10 AM with hot cocoa! Please be prepared with proper hiking shoes, water and dressed for the weather. Lake James State Park: Meet Park Ranger at the Paddy’s Creek Area bathhouse breezeway at 10 AM for a 2-mile hike with plenty of environmental education along the way. South Mountains State Park: Hike to the 80 ft. High Shoals waterfall, 2.75 miles. Meet at Jacob Fork parking area at 11 AM. First Day Hikes are part of a nationwide initiative led by America’s State Parks to encourage people to get outdoors. 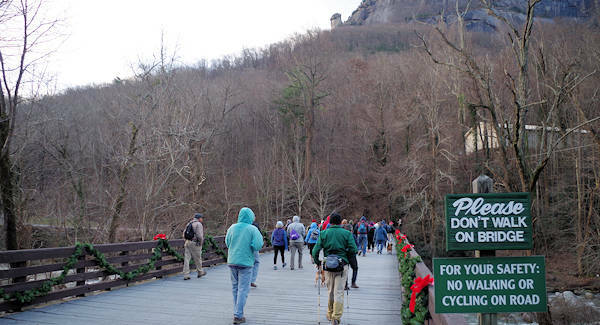 On New Year’s Day, hundreds of free, guided hikes are organized in all 50 states. Last year, 28,000 people collectively hiked more 66,000 miles on these hikes across the country. For more things to do, see our New Year's Guide for parties and more. 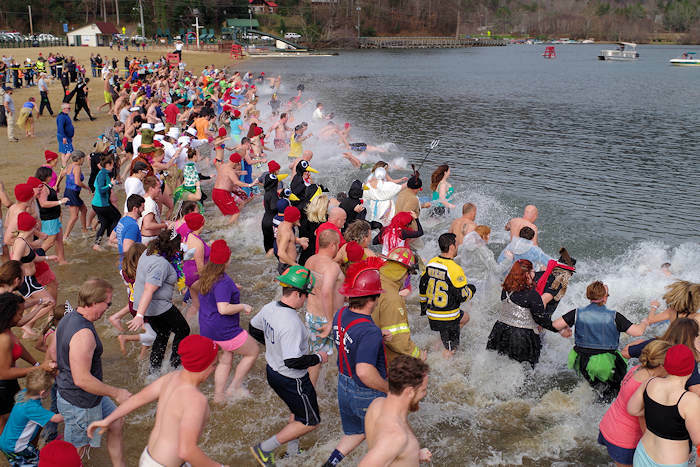 Also, read about the Lake Lure Polar Plunge on January 1.